This is a promo release. Dial label is black and white. 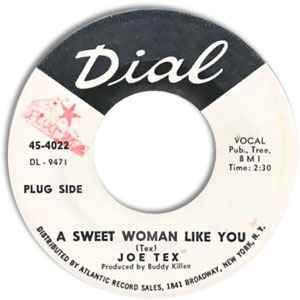 "Plug Side" is the song "A Sweet Woman Like You," A side.